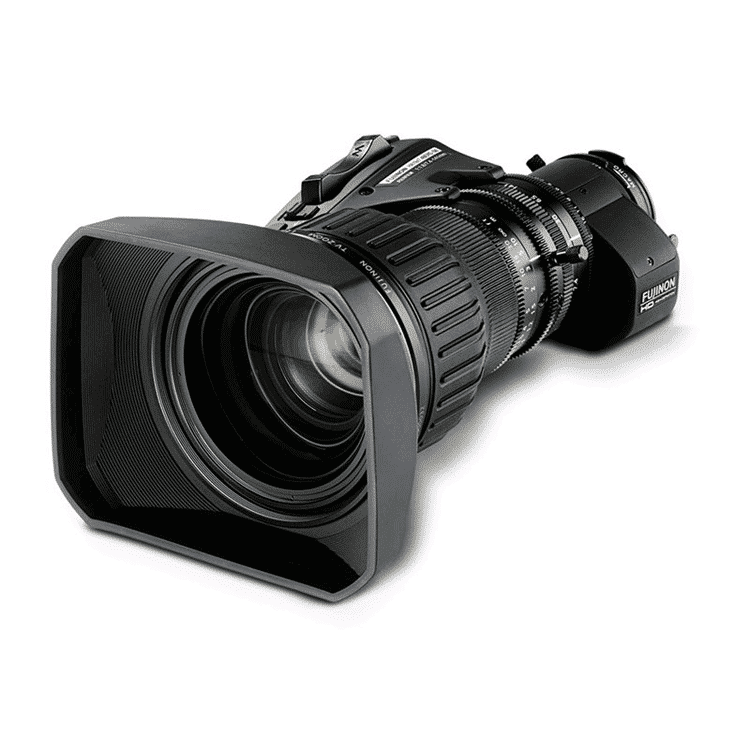 FUJINON HA19x7.4BERM / BERD ENG lens is ideally suited to the rigors of high-end HD production application, including entertainment, news, sports, and documentaries. HA19x7.4BERM / BERD With a 19x zoom ratio, this lens is one of the first in such a compact size to feature three floating zoom groups, which produces unsurpassed optical performance. It also features the latest EBC coating, resulting in richer colors, and improved blue response and transmittance. A new ergonomic digital grip reduces operator fatigue, and the lens can be ordered with manual or servo focus and zoom.